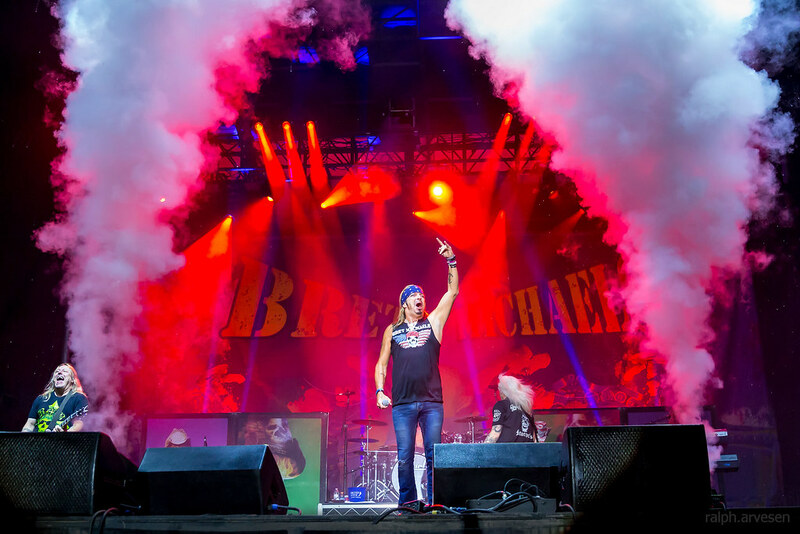 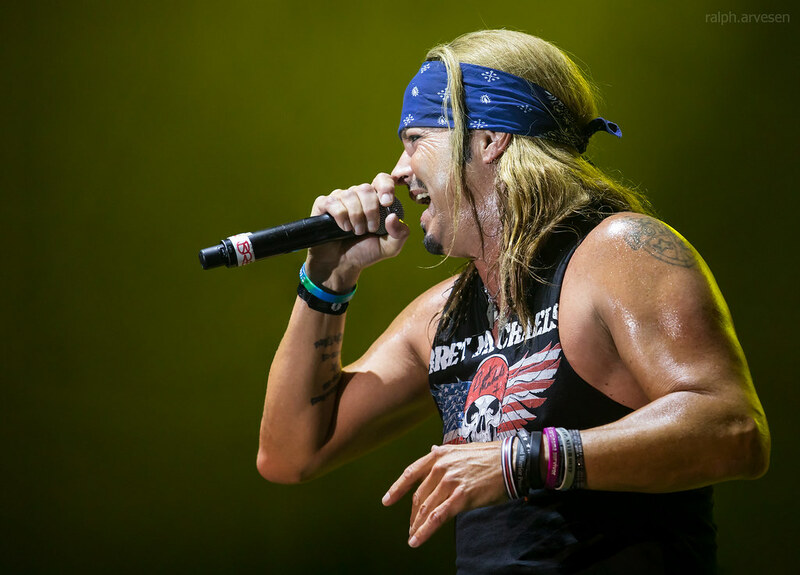 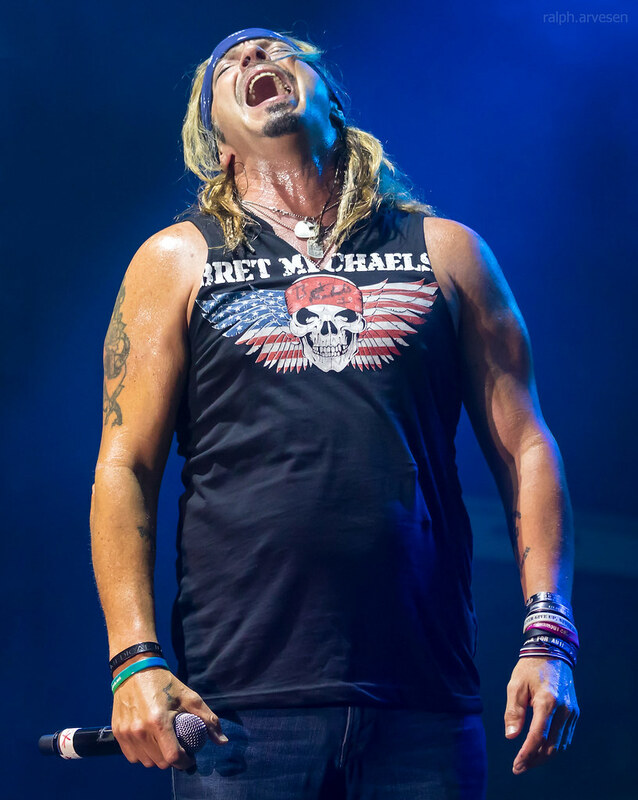 Bret Michaels performing at the Fiesta Oyster Bake Festival in San Antonio, Texas on April 21, 2018, with Bret Michaels, Pete Evick, Eric Brittingham, Rob Jozwiak, and Mike Bailey. 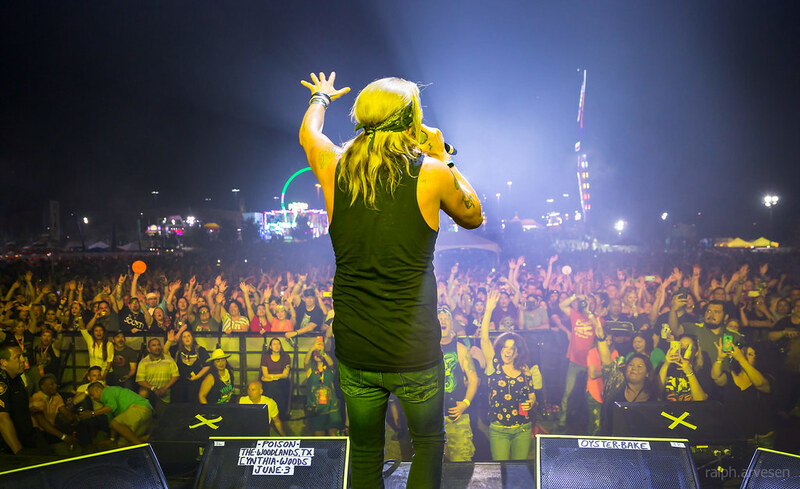 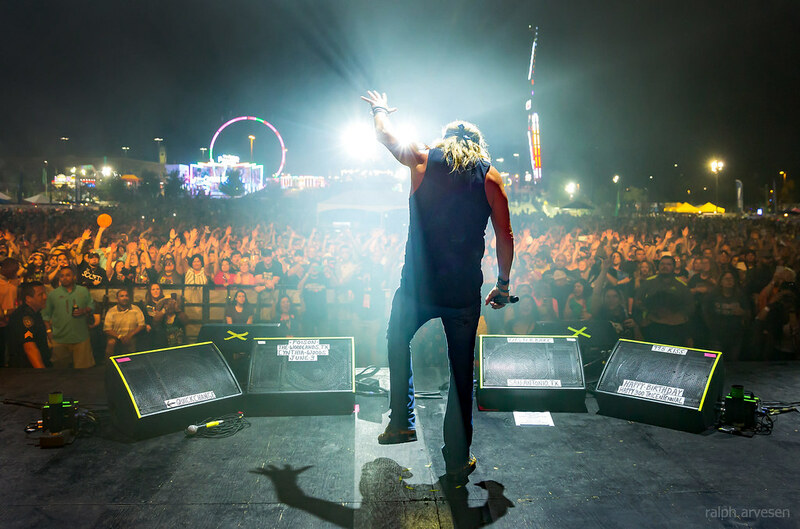 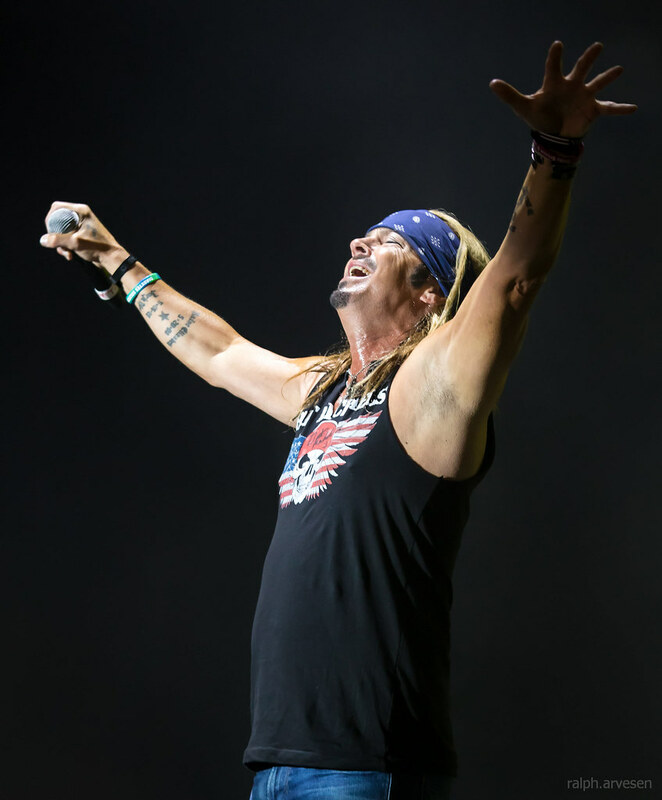 As a rock star, reality star, spokesperson, businessman, and philanthropist, Bret Michaels does more jobs in a single day than most people do in an entire lifetime. 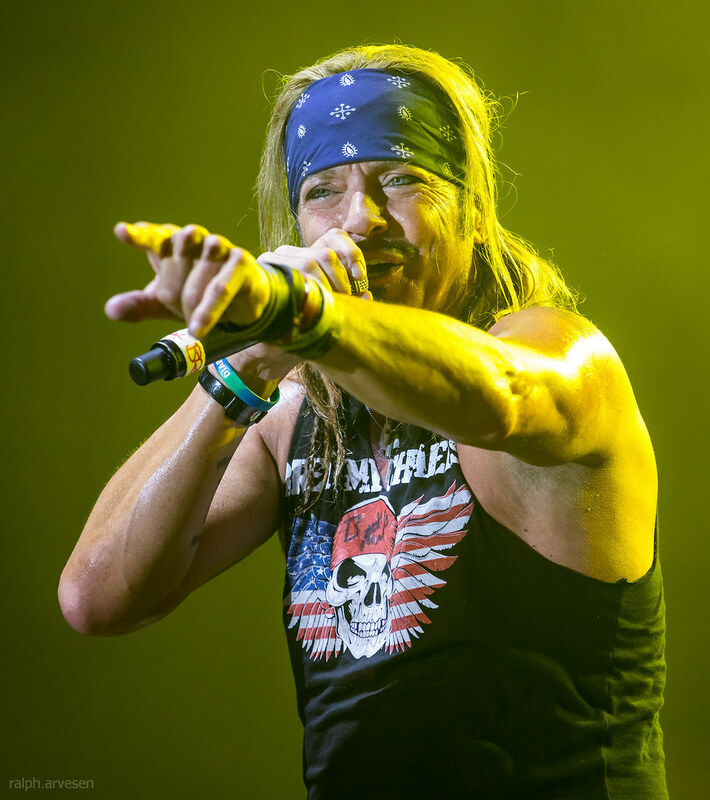 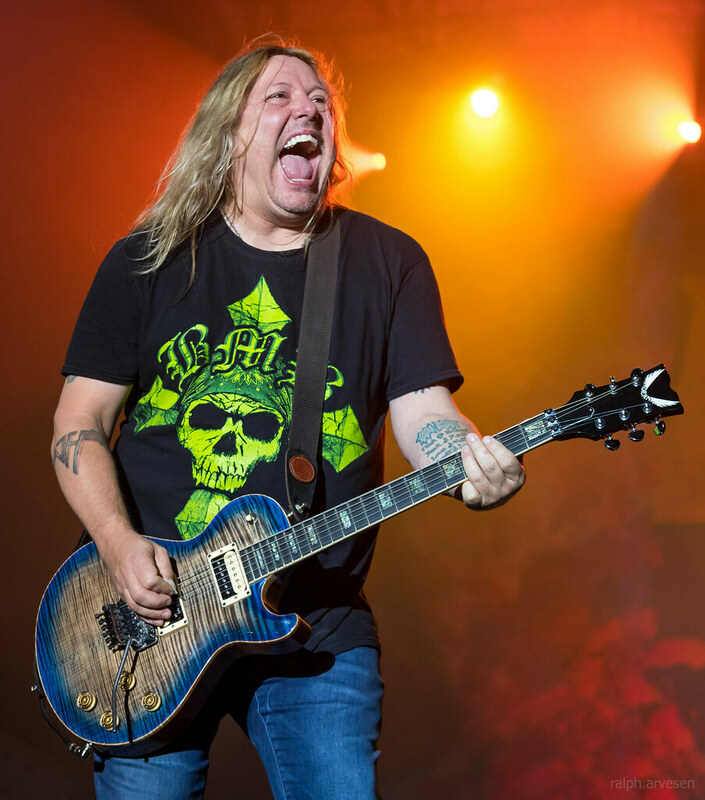 Depending on the hour of the day he's a cultural icon, a rock god, an entrepreneur, a TV star, a father, the face of the American Diabetes Association, a supercross enthusiast, solo artist, Poison frontman, and a generous donor to a myriad of charitable causes. 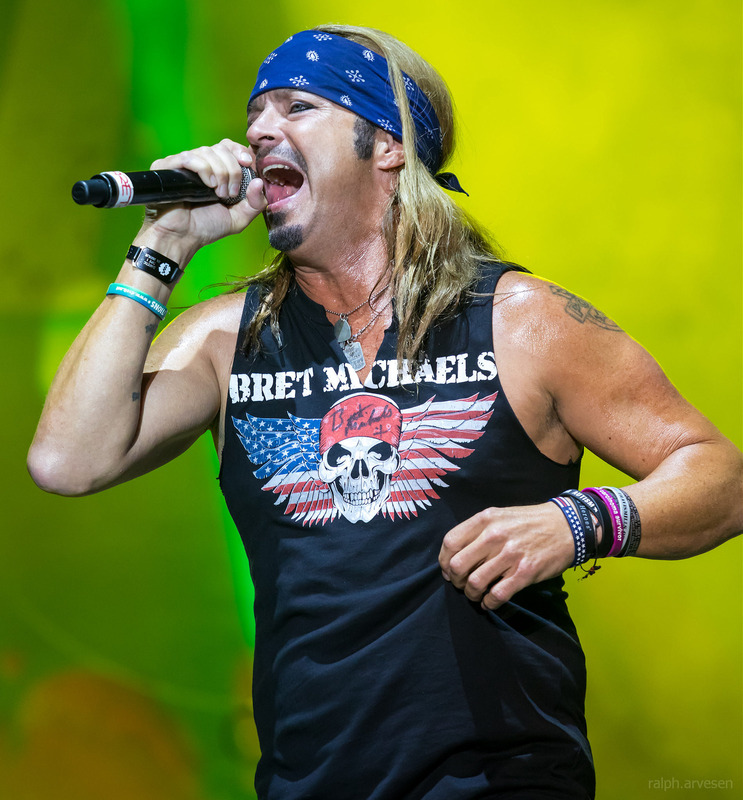 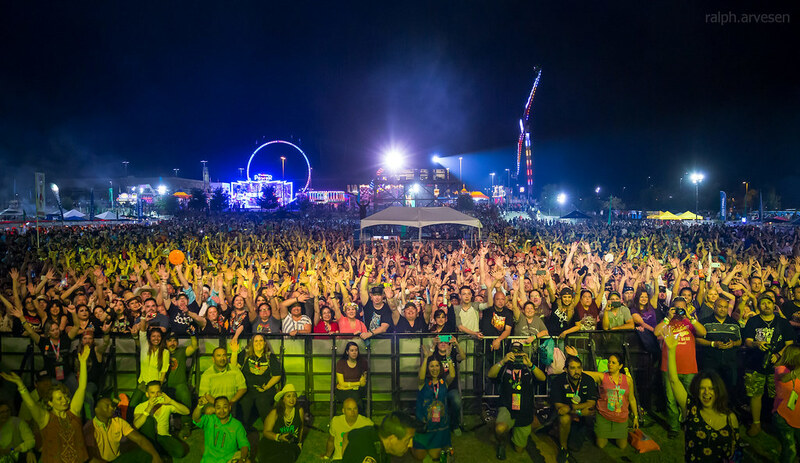 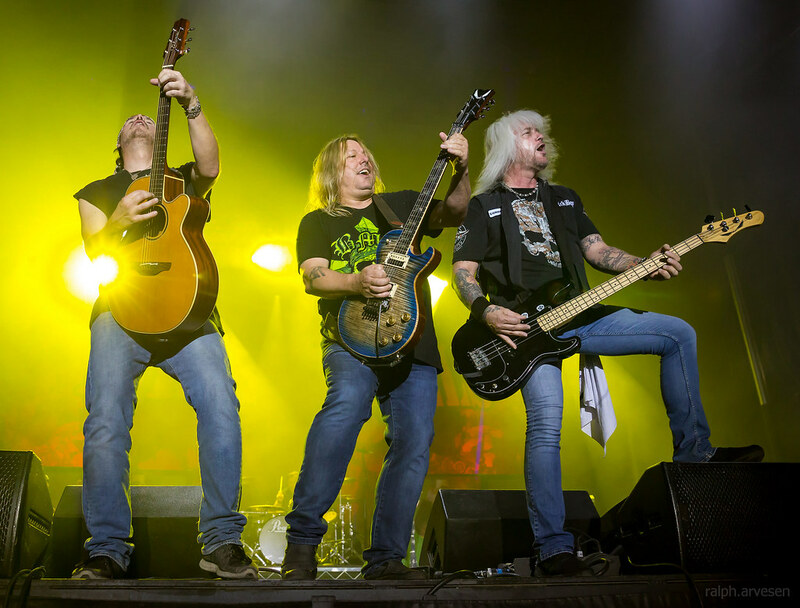 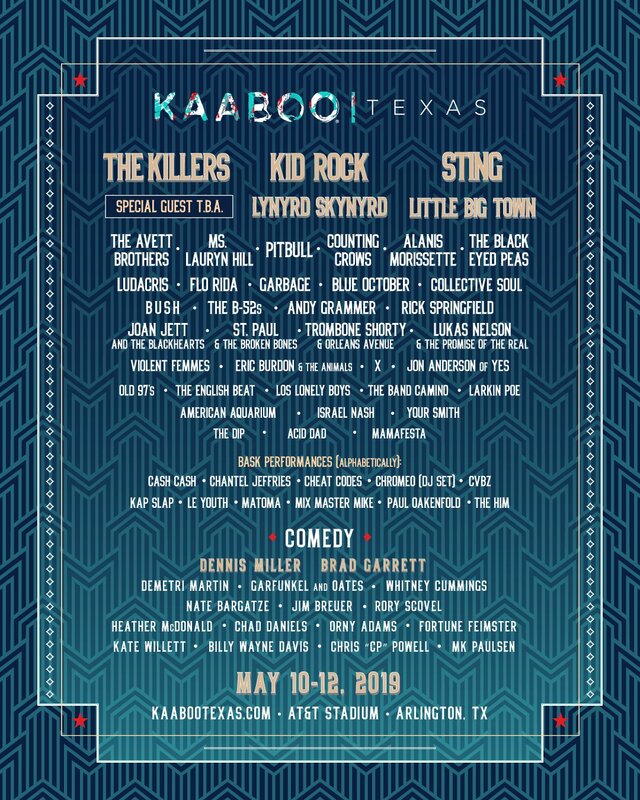 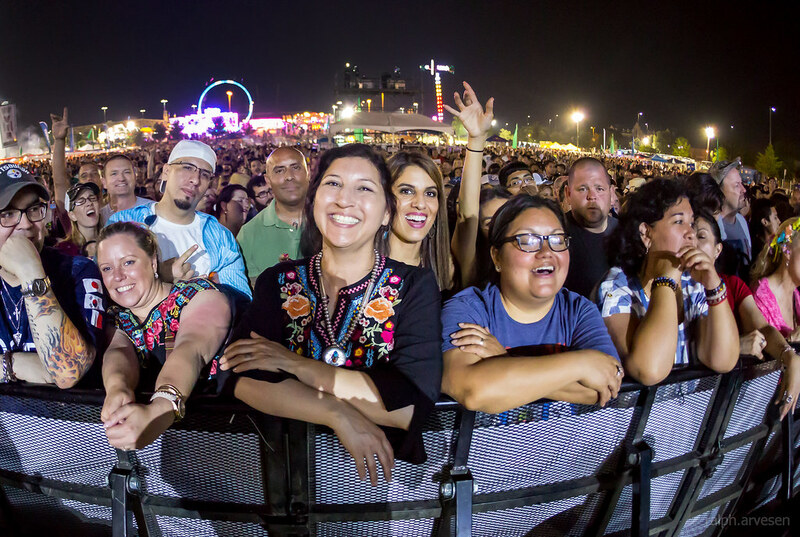 Bret Michaels was the main act at the Fiesta Oyster Bake Festival with guests Tom Keifer, Drowning Pool, Back In Black, and Whiskey Bliss. 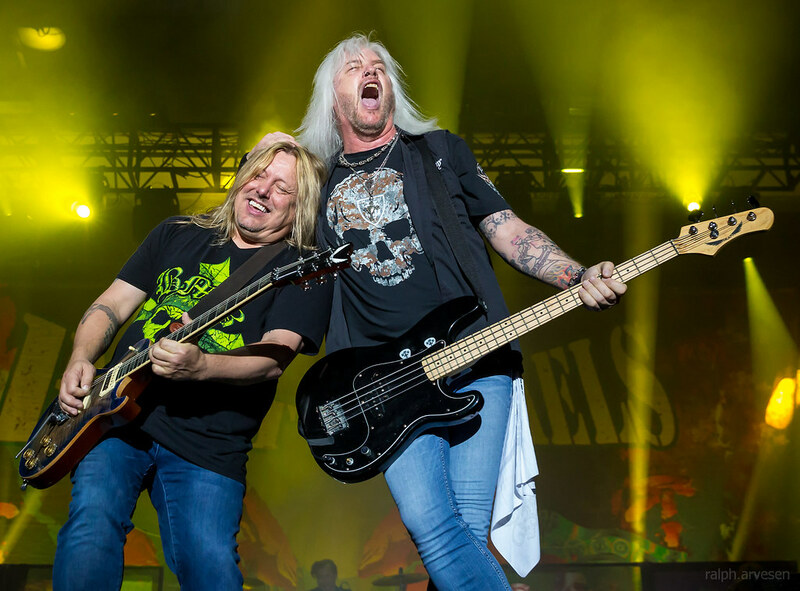 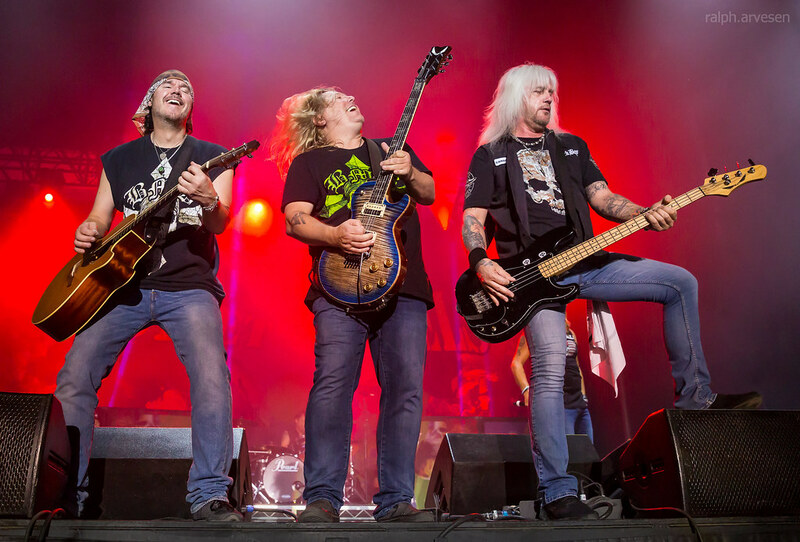 The band continues across the United States, Canada, and Dominican Republic with the last stop at the 80s In The Sand in Punta Cana, Dominican Republic on November 6, 2018.